Cary Davis focuses on the efficient and creative resolution of business disputes through negotiation, trial and appeal. 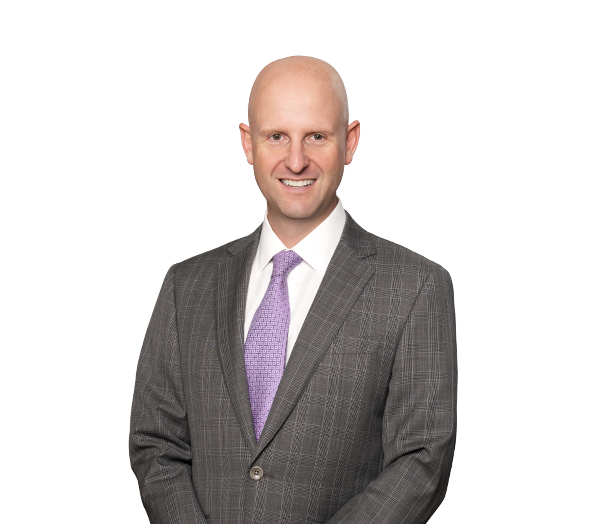 His litigation practice includes contract disputes, sports and entertainment law, business torts, real estate and commercial lease disputes, insurance coverage, antitrust law, government and internal investigations, trademarks and personal injury law. Cary's recent experience includes the defense of antitrust and ERISA/LMRA class actions in federal court, a federal appeal raising an issue of first impression under the Americans with Disabilities Act, a trademark opposition trial before the Trademark Trial and Appeal Board, and the successful resolution of disputes between NASCAR teams, drivers and sponsors. He also maintains an active motorsports practice, representing team owners, drivers, sponsors, suppliers and driver agents in a variety of intrasport and other business disputes. Before attending law school, Cary worked for seven years as a newspaper reporter in Florida on the staffs of the St. Petersburg Times and the Ocala Star-Banner. His stories about law enforcement, local government and the courts won numerous awards for deadline and investigative reporting. Successfully pursued claims of a former shareholder for breach of contract and payment of a dividend in North Carolina's Business Court. Represented Swiss company and U.S. subsidiary in litigation involving dispute over brokerage fees in connection with the sale of biopharmaceutical inputs; matter resolved on favorable terms upon filing dispositive motions in client's behalf. Represented national bank in litigation with automaker's financing division and auto dealerships involving claims for improper check endorsements under Article 4 of the UCC; matter favorably resolved after filing dispositive motion in client's behalf. Represents members of prominent NASCAR family in trademark opposition trial before the Trademark Trial and Appeal Board. Defended engine supplier in federal court against claims by NHRA team regarding on-track performance issues; achieved favorable settlement after successfully opposing plaintiff's motion seeking leave to amend to add fraud claims. Represents NASCAR teams, drivers and sponsors in disputes involving driver replacements, sponsorship agreements and intellectual property issues. Represented race team engineer in dispute with team owner over compensation owed under employment contract. Represents NASCAR drivers and professional golfers in matters involving defamation and protection of intellectual property rights. Represented owner of nursing home in action to remove tenant operator; obtained jury verdict in client's favor following two-and-a-half week trial; judgment affirmed in all respects on appeal. GRE Properties Thomasville LLC v. LibertyWood Nursing Center, Inc., 761 S.E.2d 676 (N.C. App. 2014). Represented developers of master-planned community in litigation initiated by builders during the economic downturn involving claims of alleged misrepresentations regarding infrastructure and amenities. Represented real estate purchaser in litigation against seller who refused to deliver deed in connection with multimillion-dollar real estate transaction. Represented land owner in dispute with owner of adjacent property over implied easement rights. Represented owner of chemical manufacturing plant in arbitration involving claims against general contractor for faulty engineering, design and construction resulting in plant inefficiencies. Represents commercial landlords in actions to reclaim possession and recover damages from defaulting tenants. Represented insured in successfully establishing insurer's duty to defend underlying litigation as a matter of law. Montgomery Mutual Insurance Co., et al. v. Citadel Management, LLC, et al., 2013 WL 6147778 (W.D.N.C. 2013). Represented manufacturing client in antitrust investigation by the Federal Trade Commission; matter resolved on favorable terms after persuading FTC not to pursue claims under Sherman Act Sections 1 and 2. Represented defense contractor in connection with internal investigations related to regulatory compliance issues and disclosure obligations. Represented plasma collection firm in connection with state investigation related to regulatory compliance issues. Serves as national litigation coordinating counsel for leading plasma collection firm in connection with defending personal injury and related claims asserted by plasma donors. Represented leading research university in connection with claims related to allegations of research misconduct.